I've always been a fan of My Little Pony and I love the fact that my children can still play with the toys that I had fun with when I was younger and the best thing about MLP is that they just keep on reinventing themselves. And this time it's in the form of the Cutie Mark Crew. The Cutie Mark Crew mixes up the two worlds of My Little Pony and Equestria Girls to re-imagine a whole new universe. This gives new possibilities of play and friendships for the ponies and the children who play with them beyond the mirror's portal. Cutie Mark Crew Series 1 has a School Days theme, bringing together characters from the My Little Pony School of Friendship, My Little Pony: The Movie, and the Equestria Girls of Canterlot High! Inspired by entertainment, pretend the Cafeteria Cuties figures are snacking in the high school cafeteria or taking a break from their friendship studies. Each Cutie Mark figure comes complete with an accessory, a heart stand, a collectors card and a handy case to store them in. There are 24 to collect over all and each case is stackable making them easier to store. These are another set of collectables that kids will want to keep buying until they own them all. They certainly live up to their cutie name as they are indeed very cute. Every case is bright pink and includes a sort of scene inside to coincide with the character it contains. 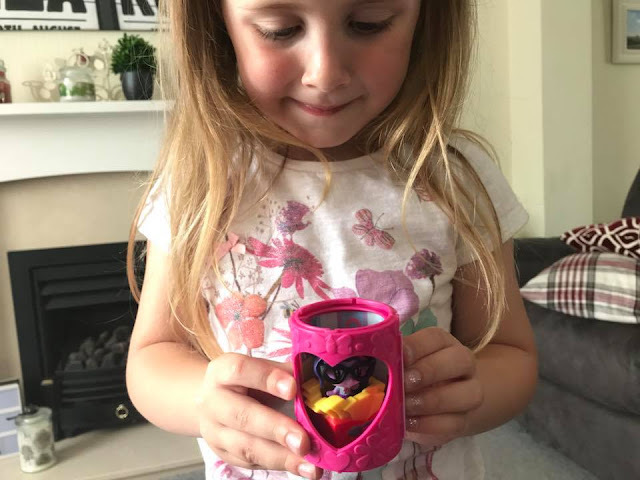 It has a hinged door so it opens up easily which makes it ideal for adding to any game play, it gives an extra element for imaginations to expand. 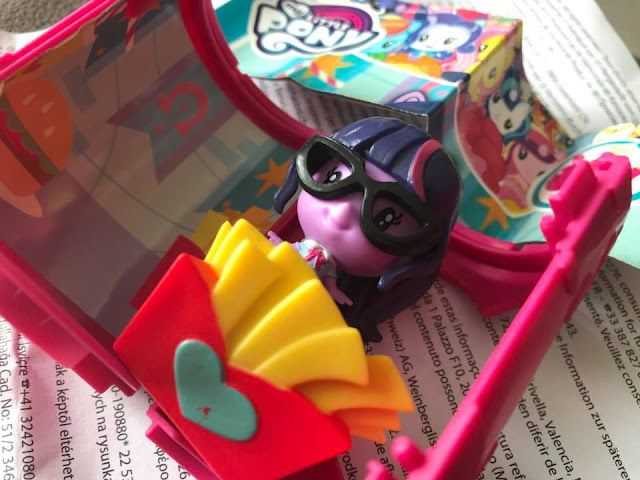 We were lucky enough to receive Twilight Sparkle to review, this happens to be one of my girls' favourites, along with Rainbow Dash. 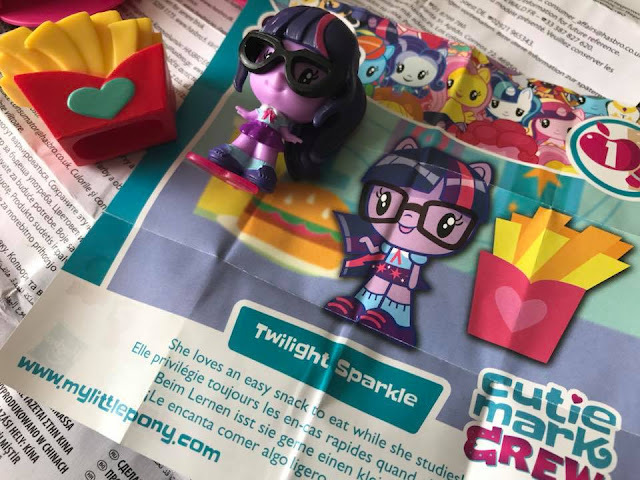 Twilight comes complete with an adorable set of glasses that go great with her adorable school girl outfit and the french fries seem to indicate that this might be her favourite snack. I mentioned that the cases that they come with are stackable so when you are not playing with them, your ponies can displayed fully as they fit perfectly inside. 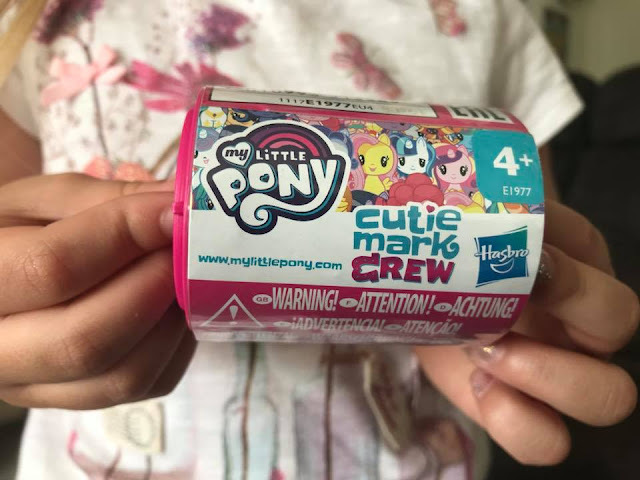 My only complaint which I have with the majority of collectables these days is that they come as what are known as 'blind bags', which essentially means that when you buy them you don't know which Cutie Mark Crew you'll receive. This can be annoying when you want to complete a collection. As a parent I feel a lot of money can get wasted trying to find a specific toy. Over all these are cute and not bad value for money considering what you receive in each case. Ideal little gifts for My Little Pony Lovers.